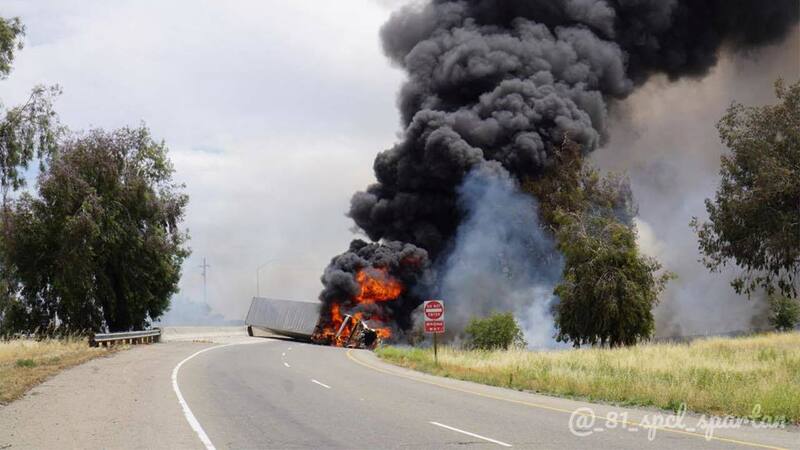 Southbound lanes of Highway 99 remain shut down Wednesday afternoon after an overturned big rig caught fire in Madera County, authorities said. Madera County: Current estimates for reopening State Route 99 is 7:30 p.m. - 9:30 p.m. Plan to use an alternate route if possible. Caltrans says Highway 99 traffic has been closed off at Avenue 24, and eastbound Highway 152 has been shut down at the interchange. Authorities said the crash happened around 12:30 p.m. It's unknown if anyone was injured in the crash or when the highway will reopen.